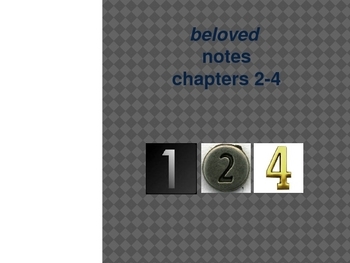 An in-depth look at Beloved by Toni Morrison chapters 2-4: the symbolism of the number 124, Denver's secret room, and Denver's birth. Foreshadowing info. Sethe's relationship with Halle vs. Paul D. Analysis of juxtaposition. Looking ahead to chapter 5.